I've needed a new pair of shorts for way too long... I'm at the stage when I could really do with a size 9 or size 11 (depending on the brand), so I'm a bit stuck at the moment. 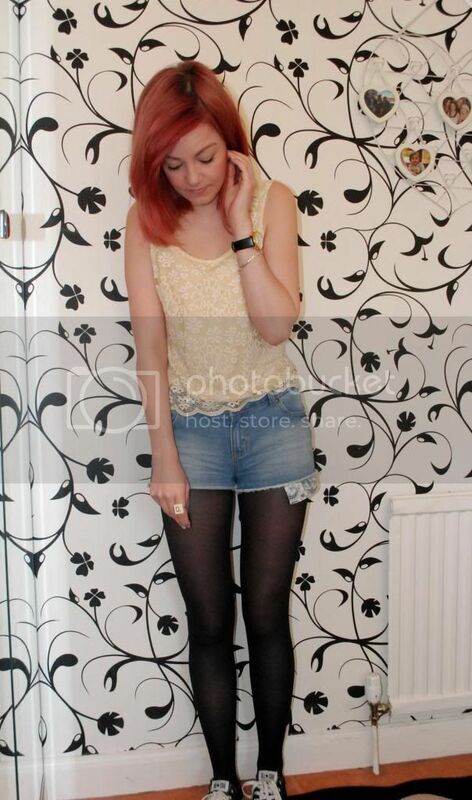 I managed to find these New Look shorts for only £15 and they seem to fit quite well. You wouldn't be able to wear them on a day when you've eaten tons of food though, as they are quite tight! I'm also very wary that they are very short, so I'll be wearing them with tights most of the time (unless I'm on holiday abroad, of course). 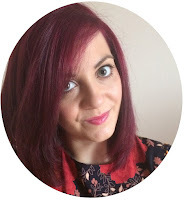 This Topshop vest is also a new find - yellow is my favourite colour, I love the lace overlay pattern and it's slightly cropped. It's a pretty loose fit, so I daren't bend forward as people would see down my top very easily. 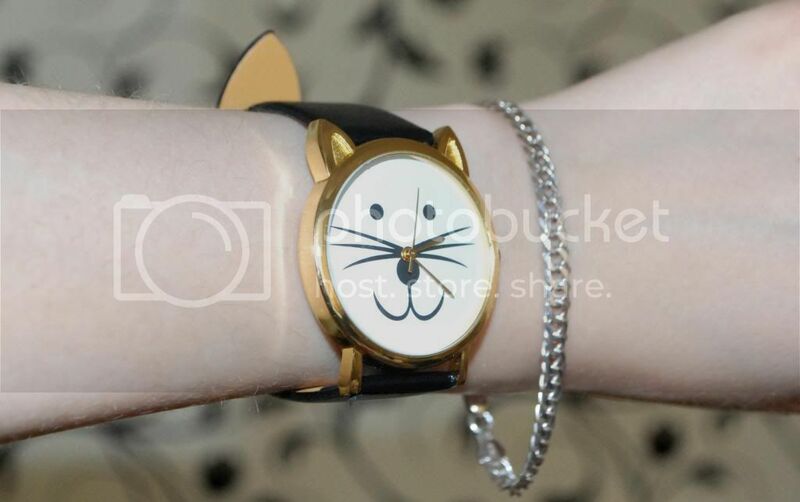 I don't wear watches that much, but I have fallen in love with the cat face watch. You can buy them from many different places, but I searched on eBay purely for cheapness! I had to add another hole in the strap so it'd fit my little wrist (I don't know why my wrists are SO tiny) but overall, it's great and is just something different to add to an outfit!